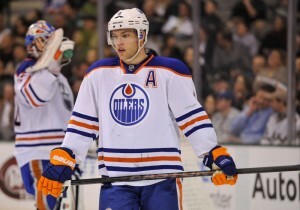 Edmonton Report: Are the Oilers Young Players Overrated? A sentiment echoed in Edmonton: they aren’t as good as we thought they were. A more accurate statement: they’re not as good as we hoped they’d be. Three first overall picks in a row. That means you have gathered enough franchise-altering players to turn things around. All you need is a decent supporting cast, a goalie who doesn’t lose games for you, and all system’s are go. Except in Edmonton, things are far from a go. They team doesn’t look like a winner. They get victories here and there, but their puck management, their commitment to defense and their 1b 1b goalie system leaves much to be desired. It’s been quite a few years that the hockey world has been waiting for the all the young talent on the Oilers to flourish. We’ve been hearing about the talent of their high draft picks. We’ve assumed all they need is a little more seasoning and we’ll start to see results. Once they really start to gel, they’ll start winning. Once they learn the coaches system, so long as they get a coach who can stick around for longer than a year, we’ll really start to see the maturation of this core. It takes time with young players. They need to learn how to win. They’ve got the potential. Sprinkle in a few veterans and things will start to come together. There’s just one problem with that: we may have overestimated all this supposed talent. Do the Oilers have a Franchise Player? When the Oilers drafted first overall for those three years in a row, none of those years featured a Crosby, Toews, Stamkos or Tavares. The closest one to those guys would probably be Taylor Hall. He has consistently gotten better, but he doesn’t have a Malkin, Kane or St. Louis as his running mate. We were hoping that might be Jordan Eberle, but so far, he’s far from it. “What about Ryan Nugent-Hopkins”, you might say. Well what about him? He could be become a legitimate number one center, but not unless he gains some muscle and stops getting injured. It’s not his fault the Oilers chose him first overall, but that draft status might make him seem better than he actually is. “But he has 133 points in 185 games that’s good. And he’s only 21.” Yes, it’s good, but he makes more money that Henrik Zetterberg, Tyler Seguin, and Patrick Sharp to name a few. Who would you rather have? Looking back at the draft, did the Oilers make the right decision on the guys they chose? When the Oilers drafted Hall, he was the best player available. Some would argue for Tyler Seguin, but their career point totals are close, and Seguin has played on much better teams. Ryan Johansen is looking to be on the cusp of stardom. Jeff Skinner is injured too often to tell. There were a lot of decent players in the draft, some with the potential to get better. But Hall was the clear-cut winner. What about the Nugent-Hopkins draft? Gabriel Landeskog is a captain, but is he decidedly better than Nuge? Probably not. Neither is underachieving Jonathan Huberdeau. That may change in the coming years, but Nugent-Hopkins was the Oilers best choice that year. And of course we get to Nail Yakupov. Should the team have gone with a potential cornerstone defenseman in Ryan Murray? Maybe, but Murray has yet to show he is that guy, even though blueliners take longer to develop. In fact, the other defensemen in that draft like Jacob Trouba, Griffen Reinhart, Morgan Rielly and Olli Maatta may actually end up with better careers than Murray. 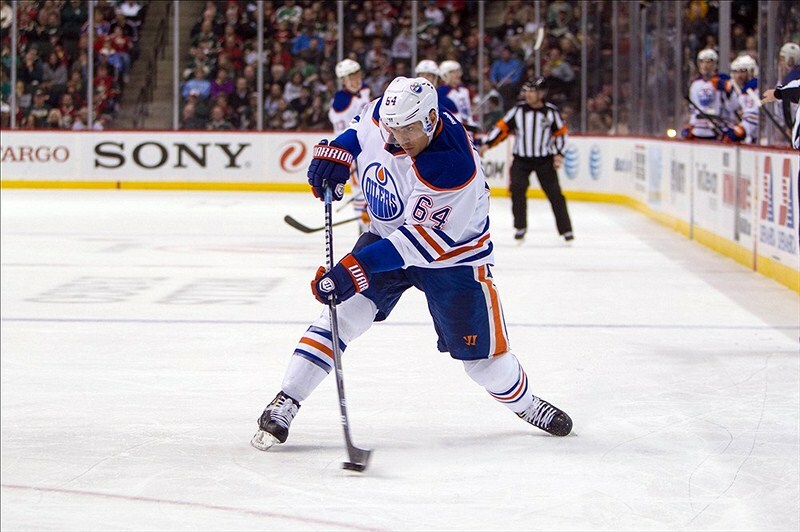 Should the Oilers have gone with a blueliner instead? What about Alex Galchenyuk, who is the next great Montreal Canadien, though mostly in print as oppose to real life. The decision to take Yakupov may haunt the Oilers, but he certainly isn’t the reason they aren’t a good team. There is a lot of skill in that kid, and when he finally discovers it, they may be rejoicing over his selection. The comparables tell us that the Oilers probably made the best decisions they could. But they also tell us something else. With the exception of possibly Taylor Hall, the Oilers have some good players, and potentially great players, but not superstar players. They don’t have the guy everyone else wants. They don’t have the Crosby, or the Toews, or the Lundqvist, the Drew Doughty or the Carey Price. They don’t have the Tavares, the Stamkos or the Jonathan Quick. They don’t have a young Zdeno Chara, or an explosive Alex Ovechkin. Does that mean they’ll never win the Stanley Cup? It might be unfair to suggest the Oilers are overrated this young in their respective careers. But the story of their greatness has been greatly exaggerated. They aren’t bad players. But how long can a team have all this young talent and still not succeed? No offence to Ben Scrivens or Viktor Fasth, but the Oilers need a goalie. No offense to Andrew Ference and Jeff Petry, but they need a real stud defenceman. The team had to keep young Leon Draisaitl in the NHL because they had no one else to play center. This tells you all you need to know about the Oilers. Not only have well-meaning media members over-estimated the talent of this core, but so has management. They need more than fringe players to succeed. Surrounding the big three (or four if you include Eberle) with marginal NHL talent isn’t good enough, because they themselves aren’t good enough. It might sound harsh, but it may be time to face the facts. The Oilers core players aren’t terrible. They just aren’t yet the stars we really wanted to them to be. Maybe a reality check is the only thing that could cure what ails this team.